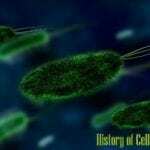 From the most gigantic known animal to the smallest bacterium, it is already given that the survival of any organism still is dependent on its adaptability to its physical and chemical environment. 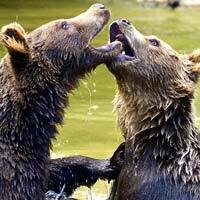 To start with, ecology is the study of the interaction of living organisms with their physical environment. Ecology comes from the two Greek words “Oikos” meaning “household” and “logia” meaning “study of“; hence literally meaning “study of the household“. In 1873, the term “ecology” was finally coined by scientist Ernst Haeckel. 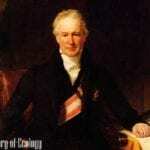 See the full history of ecology and its timeline in detail here. 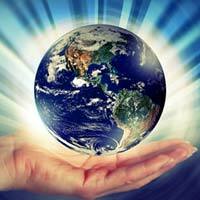 Ecology alone is a large discipline as it covers all organisms on Earth. 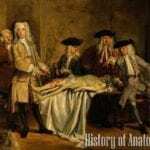 Back then, the focus of the first ecologists are only on either plants and animals (thus only plant ecology and animal ecology exist). 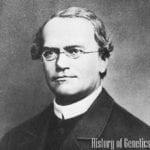 But later on, due to newly discovered knowledge and the advancement of technology, this division of ecology was no longer used. Instead, the study of ecology was again divided into two major subdivisions: autoecology and synecology. 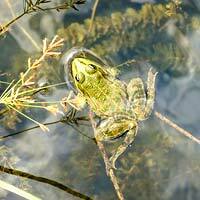 On one hand, autoecology deals with the study of ecology and ecosystems in single species up to the population level. On the other hand, synecology focuses on a larger level as it examines ecology at communities on spatial and temporal levels. Because of the still broad categories, ecology is further divided into several specialized branches that focus on a wide variety of topics. Listed below are the ten major branches of ecology. Terrestrial ecology is a branch of ecology that deals with the study of land organisms and how they interact with each other and adapt to their environment. Aside from that, the diversity and distribution of different organisms in various terrestrial habitats are also being focused on. Terrestrial ecology has a wide variety of applications like resources management, and in the long run, be effective for conservation measures. Additionally, soil properties like moisture, pH, nutrient and chemical content, and soil type may be studied. Basically the opposite of terrestrial ecology, aquatic ecology deals with the study of the ecosystems found in bodies of water, be it the marine, freshwater, or the estuarine. Aquatic ecology focuses on the interactions among living organisms in a particular aquatic habitat which can directly affect various factors in the ecosystem. Such factors include competition for food and predation, temperature, nutrient concentration, and oxygen demand. Microbial ecology focuses on the study of how communities of microorganisms establish themselves on abiotic substrates and how such organizations enable them to interact with each other. 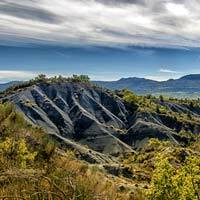 The scope of microbial ecology is quite huge as it can cover the vast micro-flora in animal guts, the seemingly simple yet actually genotypically complicated bacterial communities called the biofilms, and the complex relationship between prokaryotes and eukaryotes that somehow led to their divergence. Systems ecology is a branch of ecology that tackles various abiotic factors like energy budget allocation and physical processes such as carbon cycle and biogeochemical cycles. This branch of ecology is distinctive because it integrates other scientific disciplines like applied mathematics and computer systems to study and predict structures and function in a given ecosystem. The next branch of ecology might be new to some as it incorporates two field of studies that may not appear to work often. Basically, taxonomic ecology is a new concept in this field. The use of taxonomic data is highly important as it improves the study of the ecosystems by helping identify key organisms present in that area. Aside from that, this branch of ecology helps in the easier classification of organisms, whether each act accordingly or antagonistically with each other in the community level. 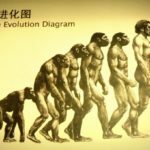 Evolutionary ecology merges the two scientific studies of evolution and ecology and focuses on the the physical and genetic changes that occurred among organisms and how such modifications were affected by ecological factors. Basically, it also considers the effect of forces like competition, predation, parasitism, and mutualism in the evolution of individual species, in a population, or in the entire community. As its name suggests, population ecology deals with the study of population structures and dynamics, rather than looking at the individual behavioral patterns of living organisms. Population ecology studies the various factors that affect population size, density, dispersion modes, and growth rate and mortality rate. The next branch of ecology, behavioral ecology, integrates the study of the interaction between survival value to the behavior of organisms and their offspring. Interestingly, it somehow related to evolutionary as it examines how an organism changes its behavior to ensure survival and perpetuation. At present, this branch of ecology attempts to find the link between an animal’s behavior to its environmental adaptation and reproductive success. Conservation ecology, as its name suggests, studies the management of biodiversity through conservation and restoration methods. This branch of ecology had just recently evolved to address the decreasing biodiversity and deteriorating natural resources in the planet. This branch is interdisciplinary and utilizes principles from genetics, biogeography, population biology, environmental ethics, and law to help in ensuring the conservation of species and their habitats. 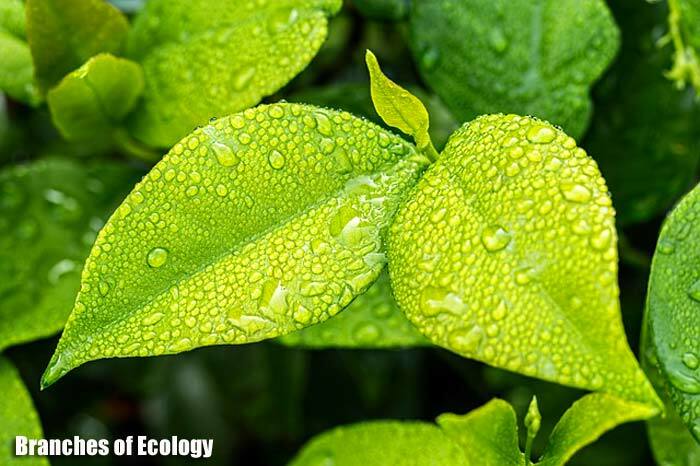 Bringing together all the concepts and principles of ecology, applied ecology aims to apply these significant knowledge, findings, and technological advances to understand real world situations and to address practical human problems. Applied ecology includes applications like management of wildlife and natural resources, epidemiology, and even natural disaster risk reduction and management. 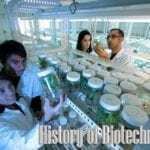 The scope of applied ecology is huge and encompasses the fields of biotechnology, ecology, to study how anthropogenic activities affect not only micro-systems but the biosphere as well. 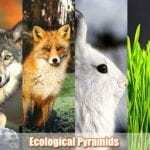 Ecological pyramids serve as the representation of the relationship among organisms in an ecosystem. 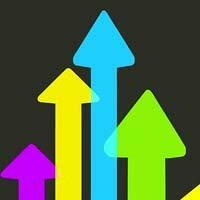 Learn their overview, 3 major types & limitations here. 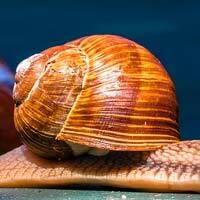 Biodiversity refers to the variety of life forms on Earth. 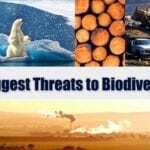 Here, we explore 6 of the biggest threats to biodiversity and how do each of them contribute to its loss. The competition for food and resources in tropical rainforests is intense. 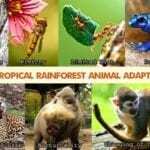 Explore the 7 tropical rainforest animal adaptations that allow them to survive. 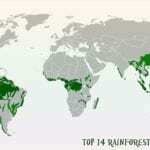 Rainforests are considered as the planet’s oldest ecosystems. 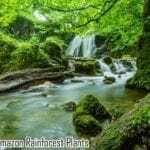 Here, we listed the top 14 spectacular rainforests found in the different continents of the world. 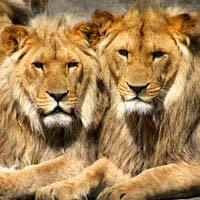 The Amazon Rainforest is considered to be the home of the most diverse species in the world. 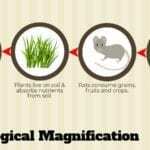 Learn the top 20 Amazon rainforest plants & their details here. 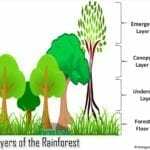 From top to bottom, a tropical rainforest is divided into four layers: emergent, canopy, understory, and forest floor. Explore the layers of the rainforest including animals in each layer. Rainforests are biomes that have a rich flora and fauna. Animal species diversity is highest in the rainforests than anywhere else on earth. 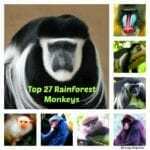 This article discusses 27 rainforest monkeys that are found in different rainforest regions of the world. Behind the struggle to combat increasing global temperature & rapidly changing climate lies the excessive production of greenhouse gases that eventually get trapped in the atmosphere. 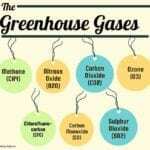 Let's explore what actually greenhouse gases are, their types, and most importantly, their contributions to climate change. 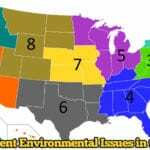 Being the third largest country in the world, the United States of America has emerged as one of the significantly affected regions from the top 15 environmental issues. 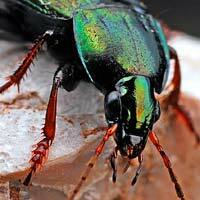 Biomass energy is produced from organic materials which come from living organisms. 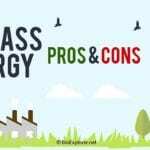 Explore the top 20 biomass energy pros and cons here. It is a truth universally acknowledged by scientists: climate change is real as well as global pollution of air, water, and soil. In order for us to survive, we need to know as much as possible about the dangers of today. 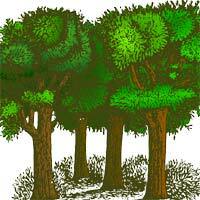 You have just seen the many branches of ecology as well as their focus and specifications. 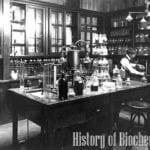 You have also learned about how this field of study had come to inspire another non-biological field of discipline. Indeed, ecology is a holistic science. Through these branches of ecology, the understanding of the basic concepts of ecosystems and the interaction between organisms and their habitats can direct to the better control and utilization of such natural systems.In your own perspective, what other things can ecology teach us? 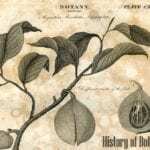 Cite this article as: "Branches of Ecology," in Bio Explorer by Jack Kirsten, November 29, 2014, https://www.bioexplorer.net/divisions_of_biology/ecology/. “Online Etymology Dictionary”. Accessed August 14, 2017. Link. 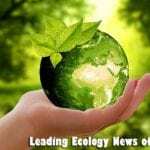 “Top 21 Specialized Branches of Ecology – Discussed!”. Accessed August 14, 2017. Link. “Introduction to Aquatic Ecology – Regional Aquatics Monitoring Program (RAMP)”. Accessed August 14, 2017. Link. 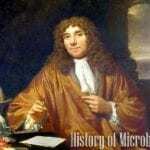 “Microbial Ecology and Ecosystems – Microbial Evolution and Co-Adaptation – NCBI Bookshelf”. Accessed August 14, 2017. Link. 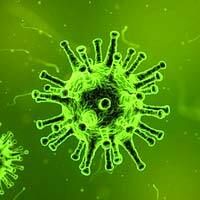 “Evolutionary ecology – Latest research and news | Nature”. Accessed August 14, 2017. Link. “Conservation Ecology | Graduate Group in Ecology”. Accessed August 14, 2017. Link. “Best environmental directories”. Accessed August 14, 2017. Link. “Biospherics | Explorations of the Earth's Biosphere”. Accessed August 14, 2017. Link. “Carpathian Biosphere Reserve”. Accessed August 14, 2017. Link. “Ecozones”. Accessed August 14, 2017. Link. “Diversity of Life Web Index”. Accessed August 14, 2017. Link. “Leadership Development Center | Colorado Retreat | The Nature Place”. Accessed August 14, 2017. Link. “The Long Term Ecological Research Network | Long-term, broad-scale research to understand our world”. Accessed August 14, 2017. Link.